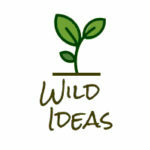 The Wild Ideas team give voluntary and community organisations the support they need to make a difference to local lives and issues at no cost to the organisation. We support and deliver projects and learning to create healthier, greener communities and to bring people into contact with nature: in schools, in work and in our open spaces. We do this by providing a mix of strategic consultancy, hands-on fundraising support, management and practical delivery of projects as well as ongoing advice and mentoring. Our team also deliver a range of ecology services, including ecological surveys, wildlife engagement, species identification, practical conservation and habitat management. We also run training courses throughout the year on fundraising, project delivery, and learning outdoors.